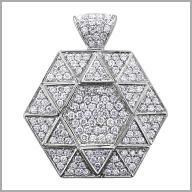 Create a style of shimmering brilliance with this lovely pendant. 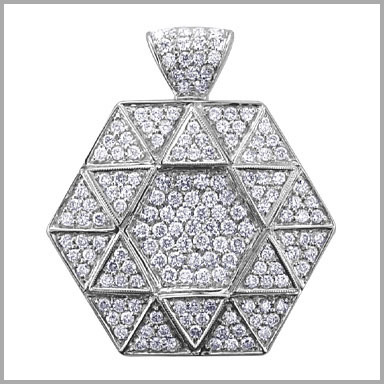 It is made with polished 18K white gold and features 166 round cut diamonds in rhodium plated bead settings in a hexagon design pendant with a Star of David. The total diamond weight is approximately 2.440 ct (color: H, clarity: SI).